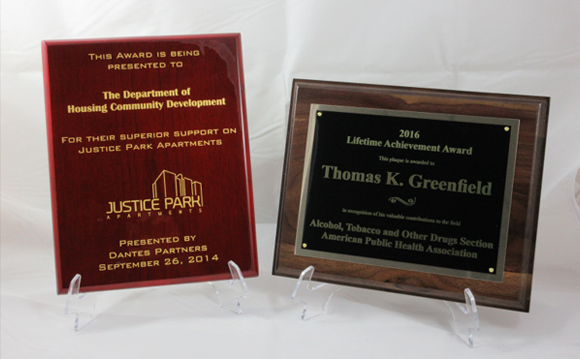 We carry in stock a large selection of plaque sizes and materials to choose from. Your copy can be engraved in numerous color combinations and even in full color with our dye sublimation process. 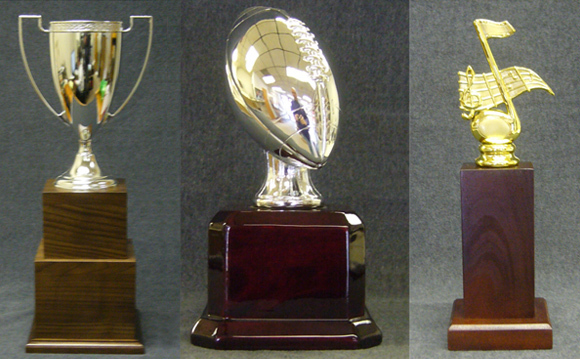 From small to large, we create individualized trophies for sports teams, little leagues, boys and girls’ clubs, schools, universities, religious groups, corporate events, and more. 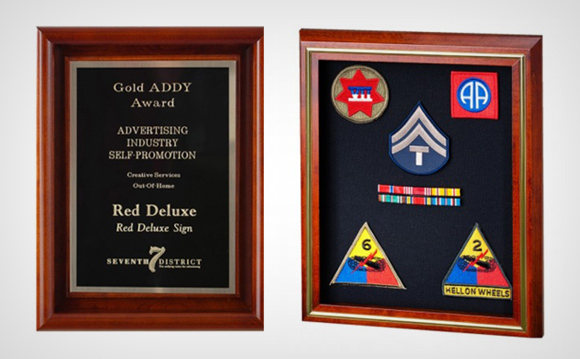 Using a dye sublimation process, we can apply full color graphics – photographs, designs, logos – to any plaque. Our handmade walnut or cherry shadowboxes are an ideal way to display ribbons, medals and other mementos. 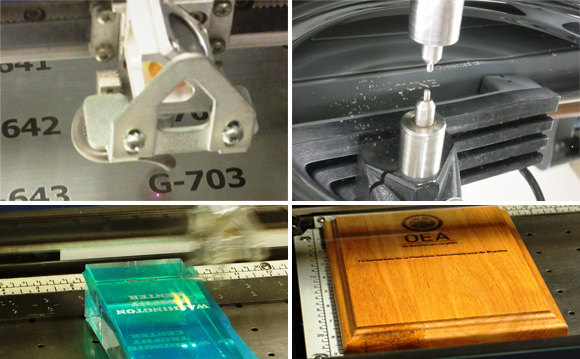 We offer expert, state of the art laser or diamond drag engraving on the premises. 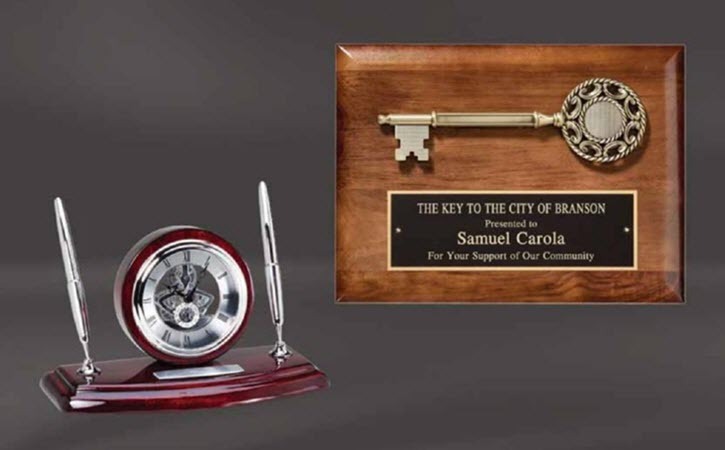 We engrave your text, artwork, logo, and signature – even while you wait! 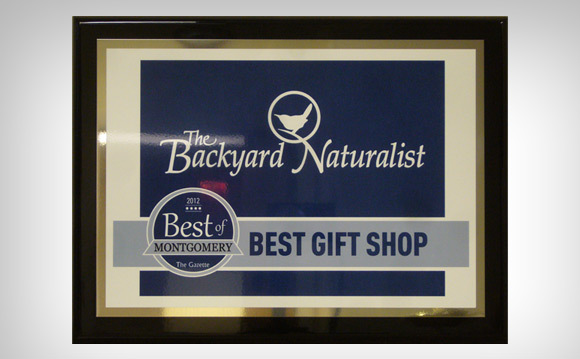 We have a greater selection of products to choose from, including glass, crystal, corporate awards and gifts, acrylic, Lucite, medals, commemorative plaques, and display cases.